Here at SpinCar, we’re always improving our product with high-ROI upgrades that are proven to help your dealership move more metal. Check out the latest enhancements we’ve made to our products over the last few weeks. Reach out to your Digital Account Manager to learn more about any of these upgrades! This update gives photographers the ability to review all elements of a spin at any time from directly within the Capture App. All videos and hotspot images can now be reviewed in real time to ensure that photographers are delivering consistent, high-quality images for VDPs before being uploaded. Save time merchandising new vehicles by reusing previously created spins. For dealers with new vehicle inventory, this feature saves them a significant amount of time and effort, allowing them to get their vehicles online instantly. Photographers can simply copy and edit previously captured spins to adjust for minor differences in option packages. We’ve made the industry’s most advanced retargeting technology even better! 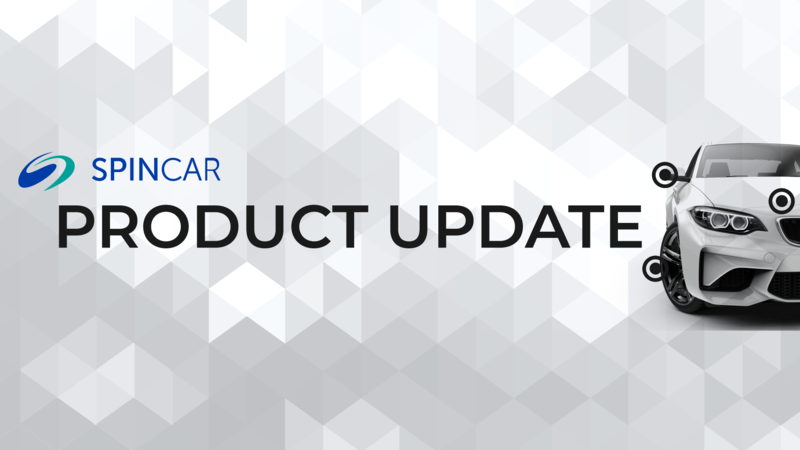 With our latest update, dealers can now prioritize aged inventory in their digital ads. That means in addition to delivering highly personalized VIN-specific ads, dealers can also showcase additional inventory based on age. The added exposure for slower-moving vehicles is helping dealers move more cars faster - and THAT’s money in the bank. With this update, photographers can use the Capture App to automatically maintain connectivity with both the Ricoh Theta Camera and the dealer’s WiFi network. This eliminates the need to leave the app to manage network settings. After establishing an initial Bluetooth connection with the Ricoh device, the Capture App now automatically switches between the camera and the dealer’s Wifi as needed. This feature reduces set-up time and further streamlines the capture process. We’ve made additional User Interface and User Experience improvements to further enhance the capture process. • Clear Camera – reduces menu clutter in the viewfinder during video recording. • Faster Transitions - speed up workflow throughout the app. • Enhanced Stabilization - added option for “cinematic” capture style for enhanced stabilization. Not using 360º WalkArounds® yet? Take a free 10-minute web demo to learn how SpinCar can improve your on-page engagement and increase online leads.